It’s a widely known fact — January is hard. With the festive holiday season behind us, and with everyone returning to work and their regular routines, it can be a dreary, long month. The cold and rainy days don’t help either. Grumpiness, mood swings, lethargy, stress — not to mention cold and flu season. The January blues are real, and they can hit you hard. So when all seems lost, there’s a surprisingly simple answer. 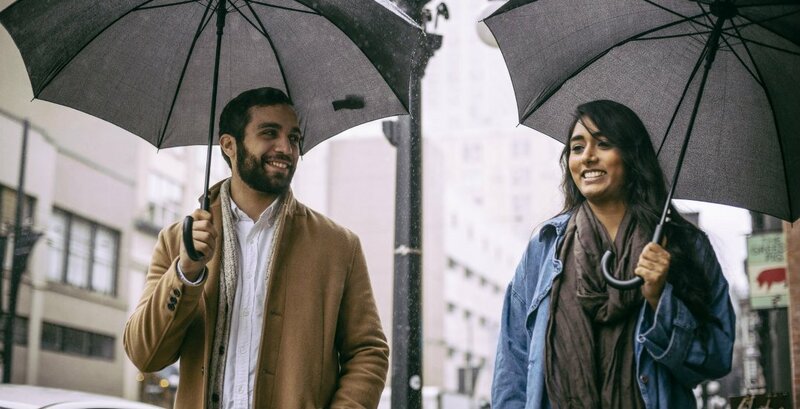 Pick yourself up off the floor (or your bed), get out of the house, and explore the local neighbourhoods Vancouver has to offer. 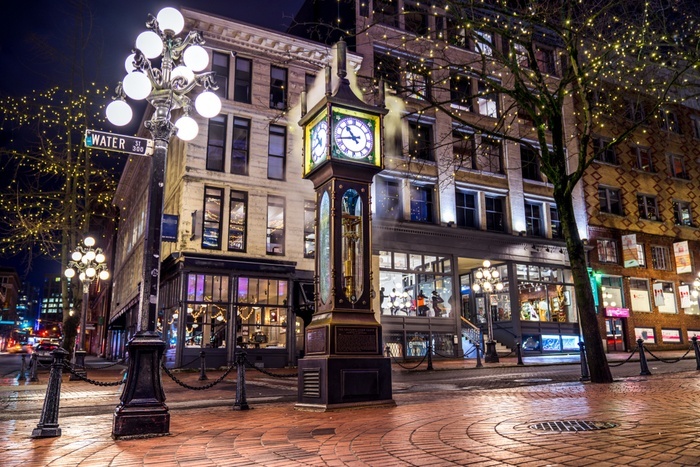 Head over to Gastown for a busy and bustling retreat away from your daily life, with many nooks and crannies, and plenty of things to see and places to go. One day is all you need. Even just taking a walk around the historic neighbourhood with no agenda can leave you feeling restored in no time at all. The best way to escape your responsibilities for a short time, and to get interactive with your friends, and of course, have fun, is play games. In Gastown, there are endless choices — drop by The Back And Forth Bar for video game consoles and ping-pong tables, The Lamplighter Pub and The Metropole Pub for themed pinball machines, and 131 Water Kitchen & Bar for an impressive collection of board games. If you’re looking for some positive vibes heading into the new year, head to The Good Spirit for a tarot reading, guided by intuitive spiritualists in an open, airy boutique. Sessions are metered out into 10, 20, and 30 minutes. You can book a session online here. If live music is your thing, and you want to get up and let loose, try out establishments such as Guilt & Co, Pourhouse, The Revel Room, The Blarney Stone, The Lamplighter, The Cambie, and the Irish Heather. There are also plenty of choices when it comes to spots where you can dance to DJ’s in Gastown, so if you’re feeling the need, hit the town. If dance music is more your thing — you can find local and international DJ’s at MIA, or check out other spots including The Portside Pub, The Charles Bar, The Bourbon, and The Metropole. If you’ve never tried a sensory deprivation tank, visit Floathouse for a life-changing experience. Lie down in a tank of water that has 800 pounds of dissolved Epsom salts in it, heated to the same temperature of your skin. While in the light-proof, sound-proof, and neutral-smelling tank, you will be able to achieve many benefits including decreased muscle tension, decreased blood pressure and stress hormones, as well as increased endorphins. Not your thing? Head over to Zenden Meditation for some good, ol’ fashioned guided meditation classes. If anything will fix the January blues, it’s a solid meal, and Gastown has an abundance of great restaurants where you can get your fill, no matter your preference. For an extraordinary brunch or lunch experience along the streets of Gastown, head to Water St Cafe. If you’re looking for lively establishments for a night of catching up with friends, our top picks are The Flying Pig, Gringo, and Bauhaus. For vegetarians, the ever-popular MeeT in Gastown is your go-to. New year, new you! Change up your look this year and treat yourself to a new hairdo at one of Gastown’s various salons — take your pick. Brush Salon, Colourbox, Pony Salon, and of course the Aveda Institute are our choices. If all else fails, retail therapy has got you. Home to several popular retail stores such as Cos, Haven, and Kit and Ace, you can also find smaller establishments including One of a Few and Nouvelle Nouvelle — you never know what you’ll find! Visit Gastown today to beat those January blues, and in no time you’ll turn that frown upside down.